(0 Customer Reviews) | Write Review 6 issues per year Gripped is Canada’s national climbing magazine. It features articles on all aspects of the sport from gyms to rock to ice, including profiles on top climbers, technique and training tips, new travel destinations and impressive photography. 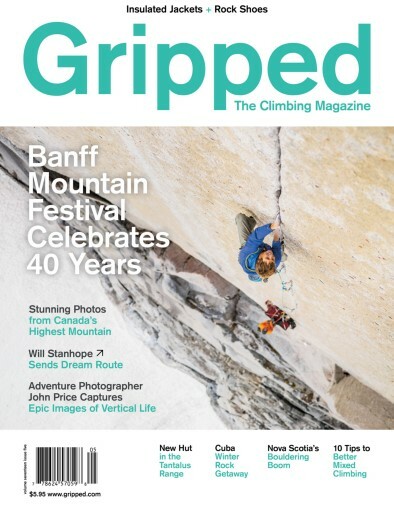 Gripped is Canada’s national climbing magazine. It features articles on all aspects of the sport from gyms to rock to ice, including profiles on top climbers, technique and training tips, new travel destinations and impressive photography. You'll receive 6 issues during a 1 year Gripped magazine subscription. You'll receive 6 issues during a 1 year Gripped magazine print subscription.